Sport & tourist bag. 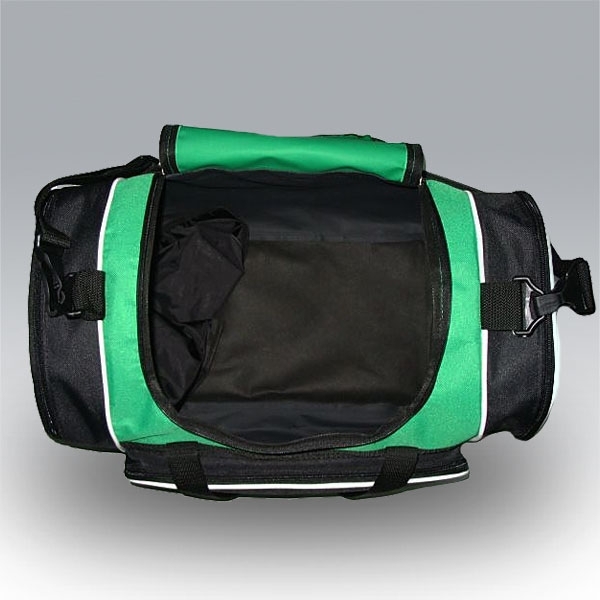 Main compartment with zipper. 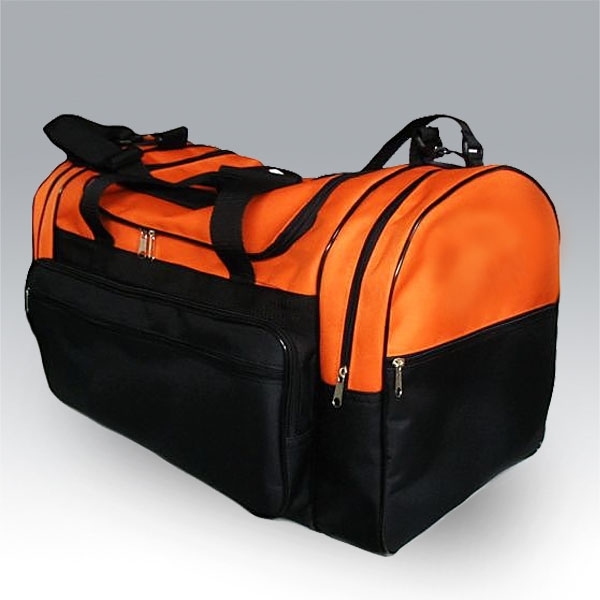 Additional large compartments with zippers on both ends of bag. Large side pockets with zippers. Flat pockets with zippers on both ends and on side. Padded shoulder strap. Handy grip on top. Click here to see colours chart. 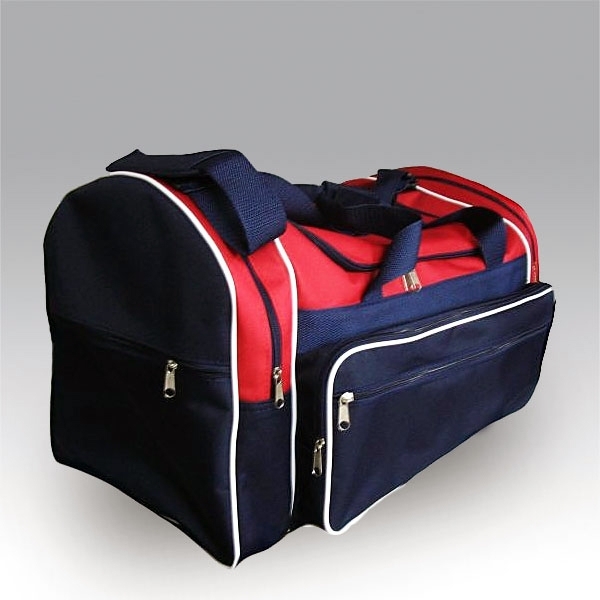 Bag is available in any combination of listed colours. Bag can be made in custom combinations of colours. 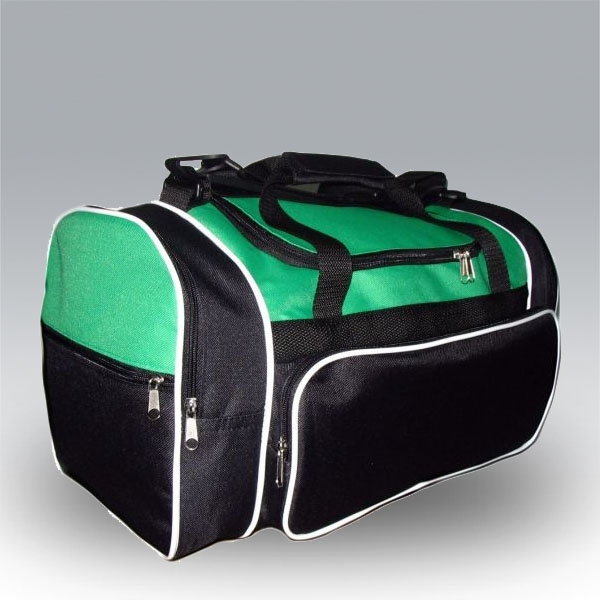 Additionally, bag can be fully customised with logos, lettering etc. 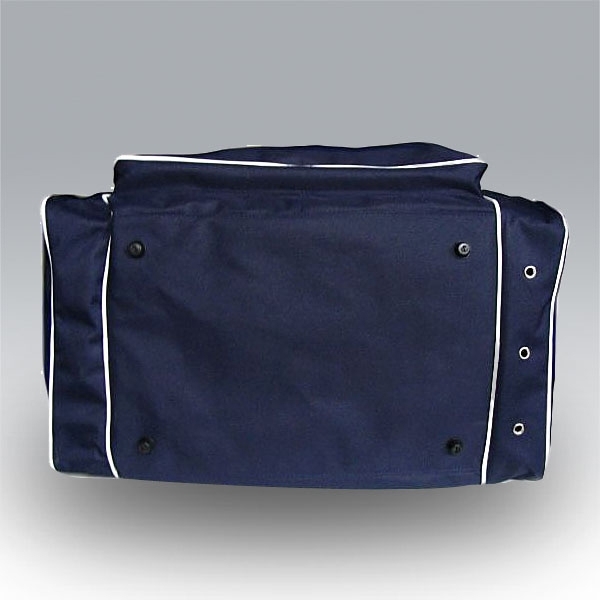 We can put printing or embroidery to virtually any part of bag. This is possible because bags are made on order and we do most customisation works before the elements of bag are sewn together. For more info about customisation as well as prices for printing and embroidery please contact us. Prices incl. 0% VAT. To have more information about VAT issue please click here.